Bob Lannan was privileged to co-chair another successful Hotel & Lodging Legal Summit at Georgetown University Law Center last week. This year’s conference drew 330 attendees, including representatives of over 60 hotel and lodging companies and over 60 law firms. Attendees arrived from at least 25 states in the United States, as well as 5 other countries. This year’s keynote speaker, U.S. Senator Amy Klobuchar (D-MN), addressed the conference on efforts to fight human trafficking activities, which too often take place in hotels. Senator Klobuchar made time for these remarks between two back-to-back votes on the Senate floor. She cast the first of these as voting began, rushed over the the Law Center a few blocks away, addressed the conference, and then rushed back to cast the second vote. 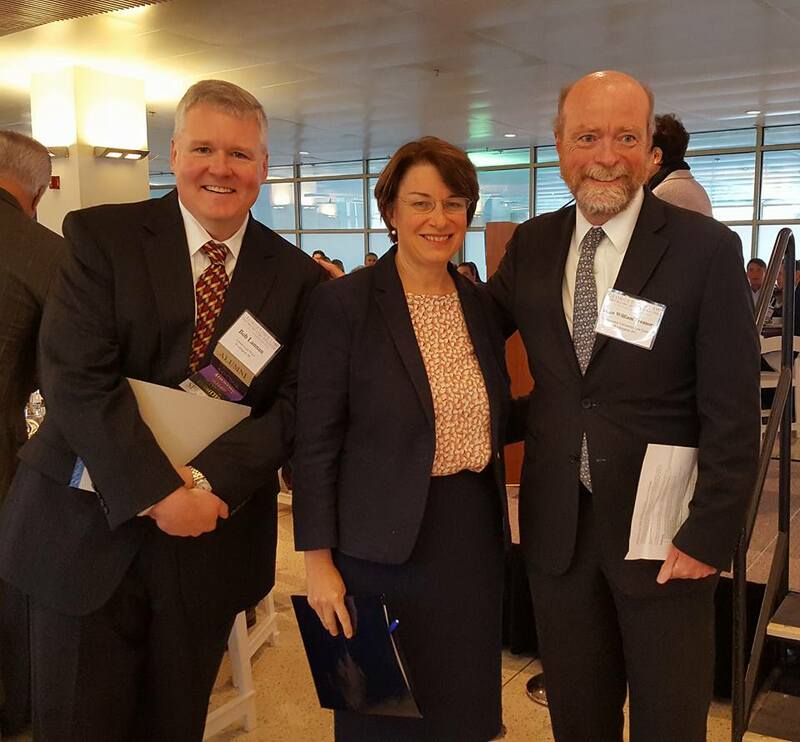 Pictured above are Bob, Senator Klobuchar and William M. Treanor, the Executive Vice President and Dean of Georgetown University Law Center. 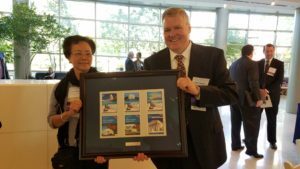 Bob was also privileged to honor J. Weili Cheng, who helped found this conference in 2012 and served with Bob as Co-Chair for six years. Weili is stepping down as Co-Chair but will remain on the Advisory Board of the conference. Weili currently serves as the Executive Director of the Yale University Alumni Association, after a long career with Marriott International, Inc., including as the Chief Counsel of The Ritz-Carlton Hotel Company, L.L.C. Finally, Bob was privileged to announce that Erica Hageman will be taking Weili’s place as Co-Chair of the conference. Erica is the Executive Vice President & General Counsel of Interstate Hotels & Resorts, Inc., based in Arlington, Virginia.